A Facebook app, or application, isn’t the Facebook app you install on your Smartphone. This is an application a developer creates that gives their Facebook page certain functionality. For example, a company might want to run a sweepstakes or give away a free sample or coupon and the use the app to help them keep track of who is entering. You have to approve an app to play a game like Farmville on Facebook. Apps are used for all kinds of reasons. Note: At the current time of this posting there is no way to delete them all at once. You have to delete them one at a time. By default, apps have access to your friends list and any information you choose to make public. You can turn off the ability to use apps but then you will not be able to connect to certain features or Facebook pages. The best way to control apps is to approve them as you need them and then delete them once you don’t need them anymore. If you have ever entered a giveaway on Facebook you may have had to approve a Facebook app to enter. You gave the app permission to access your profile and even post on your page. Once you enter a Facebook sweepstakes and that sweepstakes is over, you don’t need that particular app anymore. If you don’t remove it, overtime the app can use your personal Facebook page and publish announcements to your followers. The app may get corrupted and like in my case, it made my News Stream blank. If your Facebook News Stream is blank it could be caused by a corrupt Facebook app. If other Facebook features become “wonky” it could be caused by a corrupt Facebook application. When I went to remove Facebook apps I had over 500 in the app library and it took me over 2 hours to delete them all. I suggest you clean them out once a month if you are approve a lot of apps on a regular basis. 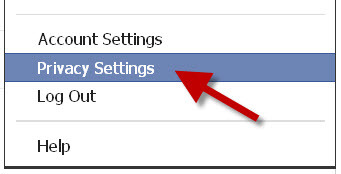 Step One: Click the drop-down menu at the top right hand corner of your Facebook account next to Home. Step Two: Click Privacy Settings. Step Three: Click Edit Settings next to “Ad, Apps and Websites”. Step Four: Click Edit Settings next to Apps you use. Step Five: Click the X at the top corner of an individual app you want to remove. Click in the checkbox to “Delete all app activity” if you like. Optional: if you click edit and then choose what functions a particular app is allowed to do through your Facebook account. Remember though, if your Facebook account isn’t working properly, the best thing to do is to delete Facebook applications. You can always install them again the next time you visit a Facebook page that requires the use of a special app.